Hiring an attorney at My AZ Lawyers, will ensure that you have the best representation possible. Don’t despair! 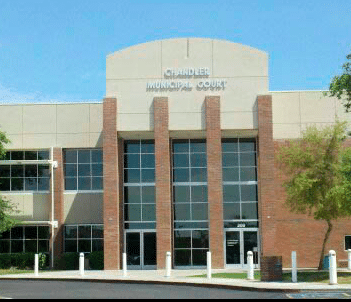 Tell your concerns to an experienced Arizona DUI attorney at My AZ Lawyers who will protect your rights and DEFEND your case! A vehicle cannot stop or be weaving inside the lanes. That is not a law violation. You cannot stop a vehicle solely on the basis of an anonymous citizen report of a drunk driver. An expert would argue that one breath test is unreliable and subject to inaccuracies because of too many variables. Other problems that may make a breath test result inadmissible: The Breath test operator does not have a license or license is expired, breathalyzer mating malfunctions, Breath Test device not approved, or a portable great testing device was used or improperly administered. Some substances consumed / used by accused affect the breath test results. Often times the driving record of the suspect, sometimes contradicts what the officer testifies. As well as, sometimes a suspect’s speech and actions are clear and consice, contrary to police statements. Walk-and-turn, one-leg stand… these tests cannot judge accurately persons that are overweight, elderly, have injuries or medical conditions. Also, they still consider some “old-school” tests such as touching your finger to your nose or counting backwards as valid sobriety tests. Additionally, field sobriety tests must be properly administered. Sometimes the blood testing fails to follow proper procedure and rules of testing or analyzing. A defendant admits to driving, does not admit to driving while under the influence. Police officers need to properly issue Miranda Warnings. A prior disciplinary record of an officer may show credibility issues. Witnesses to accidents, hospital personnel, even bartenders can provide important evidence of the defendant’s sobriety. Medical conditions can affect both a field sobriety test and the validity of the breath test results. Bad weather, illegal search by police, lack of probable cause to arrest, inconsistent statements by officers, and, frankly several other factors come into play as you visit your options for a defense against a DUI charge. Now does it make sense to hire a My AZ Lawyer attorney experienced in Arizona DUI law and cases? By all means, contact My AZ Lawyers for a FREE CASE EVALUATION.